The new Sustainable Development Goals call for quality education for all. 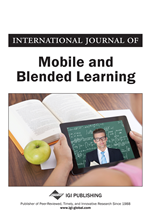 This study aims to examine the role of mobile educational technology, through the School in a Box intervention, particularly in supporting teachers skills in achieving quality education, in the context of a public primary school in Mozambique. Quality education is examined specifically in relation to participative pedagogical practices designed to contextualise learning in locally relevant meaning, and providing children with the skills of learning how to learn. Additionally it is examined in the context of teacher professional development and creating peer support structures within the teaching community enabling teachers to be at the forefront of initiatives introducing mobile educational technology in low resource learning environments in Sub Saharan Africa. This paper sets the context for the use of the School in a Box tool in the classroom and in teacher professional development against the theoretical framework of Vygotsky's zone of proximal development. The study aims to furthermore examine how teachers can be enabled to appropriate use of the technology to the local environment and curriculum needs. The practice context for this study is a collaborative research project with Irish Aid to examine how School in a Box technology and methodology might have impact in public primary classrooms in Mozambique. The first phase of the intervention took place in 2015 and consisted of needs assessment, technology deployment, and one week of in-service teacher training in August. In 2016 a second phase will involve measuring learning outcomes in students in the intervention group, as well as collaborating with the local teacher training institute to provide ongoing support and training of the project. This paper aims to put the study in the context of an appropriate theoretical framework; Vygotsky’s zone of proximal development, emphasising how the tool can be used to transform teaching and learning. This paper is concerned only with the first phase intervention, the aim of which is to train teachers on the use of the School in a Box technology as a tool in the realistic context of the classrooms they are teaching in. The new Sustainable Development Goals (SDGs) move away from quantitative measures of education for all, to an emphasis on quality education for all. 59% of 15 - 24 year olds have not completed primary education in Mozambique, and the country ranks in the 15th percentile worldwide in learning (EPDC, 2014). While it is easy to see what the problems are, it is somewhat more difficult to define what constitutes quality education, or rather what factors contribute to quality education, as pedagogical practice in Mozambique still widely relies on repetition, rote learning and chalk and talk. Taking a human rights based approach to education for all, Craissati et al (2007) stress that children being allowed to be active participants in their own learning is vital. The importance of participative learning environments has also been stressed in a DfID (Department for International Development, UK) commissioned systematic review of 489 studies (Westbrook et al., 2013), which found that classroom interaction is the key to pedagogical practice for impact on learning. This study is concerned with the role of technology in improving quality of education, but with a specific focus on how technology can change how teachers teach, and how the introduction of technology can foster a culture of self-learning in teaching communities. The research questions are as follows: do teachers engage in more participative practices in the classroom as a result of using the School in a Box project? Do teachers engage in more peer support activities as a result of School in a Box intervention? What are the constraints and factors that contribute to its successful implementation? The study is a pilot action research project working with Grade 3 teachers in a large public primary school near Maputo. The school was chosen by Irish Aid because of its easy access from Maputo, and because of its typicality as an urban public school in Mozambique. There are 5000 students in the school and 72 teachers. Approximately half of the classrooms are exterior under the shade of some trees, and the rest are interior. Interior classrooms for the most part do not have desks, chairs, windows or doors. Electricity is available in interior classrooms but can be intermittent. Eight teachers from the school were trained in 2015 and five are continuing for full implementation of the project.